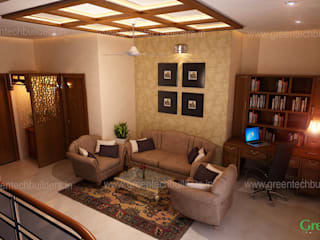 Greentech Interiors is one of the one of the established interior designers in Kochi and Kerala time they have significant experience in the interior designing industry and also well known as one of the best interior designers in Kochi and Kerala. Another highlight of Greentech Interiors is well equipped with an excellent team of interior designing professionals and also have the access to latest technologies and equipment's used for interior designing. Every clients of Greentech interiors are satisfied one's especially in the case of timely delivery of projects with high quality and international level of standards.